Flow Cytometric Analysis of Natural Killer Cell Lytic Activity in Human Whole Blood Jennifer E. McBride1, Mary P. Meaney2, Casey John2, David C. Nieman2, Renaud F. Warin1 1Center for Excellence in Post-Harvest Technologies, North Carolina A&T State University, North Carolina Research Campus, 2Human Performance Laboratory, Appalachian State University, North Carolina Research Campus This work describes an advanced workflow for the accurate and fast determination of NK (Natural Killer) cell count and NK cell cytotoxicity in human blood samples. Synthesis of Keratin-based Nanofiber for Biomedical Engineering Zanshe S. Thompson1, Nava P. Rijal1, David Jarvis1, Angela Edwards1, Narayan Bhattarai1,2 1Department of Chemical, Biological and Bioengineering, North Carolina A&T State University, 2NSF ERC for Revolutionizing Metallic Biomaterials, North Carolina A&T State University Electrospun nanofibers have a high surface area to weight ratio, excellent mechanical integrity, and support cell growth and proliferation. These nanofibers have a wide range of biomedical applications. 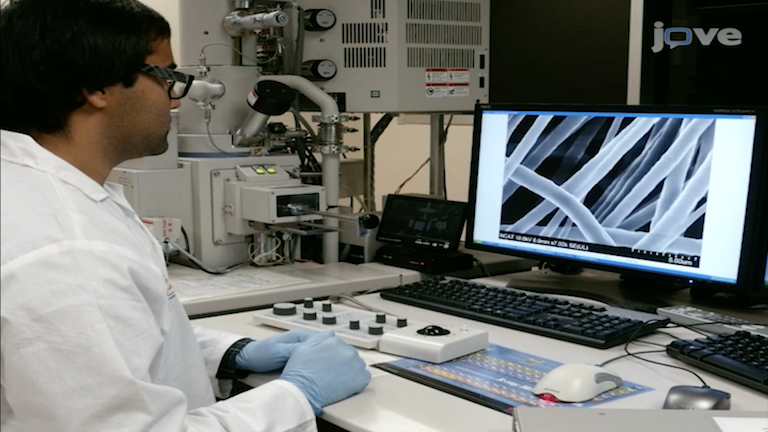 Here we fabricate keratin/ PCL nanofibers, using the electrospinning technique, and characterize the fibers for possible applications in tissue engineering. Spatial Multiobjective Optimization of Agricultural Conservation Practices using a SWAT Model and an Evolutionary Algorithm Sergey Rabotyagov1, Todd Campbell2, Adriana Valcu2, Philip Gassman2, Manoj Jha3, Keith Schilling4, Calvin Wolter4, Catherine Kling2 1School of Environmental and Forest Sciences, University of Washington, 2Center for Agricultural and Rural Development, Department of Economics, Iowa State University, 3Department of Civil, Architectural, and Environmental Engineering, North Carolina A&T University, 4Iowa Geological and Water Survey This work demonstrates an integration of a water quality model with an optimization component utilizing evolutionary algorithms to solve for optimal (lowest-cost) placement of agricultural conservation practices for a specified set of water quality improvement objectives. The solutions are generated using a multi-objective approach, allowing for explicit quantification of tradeoffs.